In a year marked by the Trump administration’s cruel attempts to deter asylum-seeking families from coming to the United States, the news that a child had died in immigration custody appears to be a tragic low. While the circumstances of the death of 7-year-old Jakelin Caal is still being investigated, this tragedy came as no surprise to those who have been monitoring Customs and Border Protection’s (CBP) dangerous disregard for the health and safety of people in their custody. When migrants are detained after crossing the southern border, they are often taken to a CBP short-term detention facility. These facilities are often called “iceboxes” (or “hieleras” in Spanish) by migrants because of their frigid conditions. 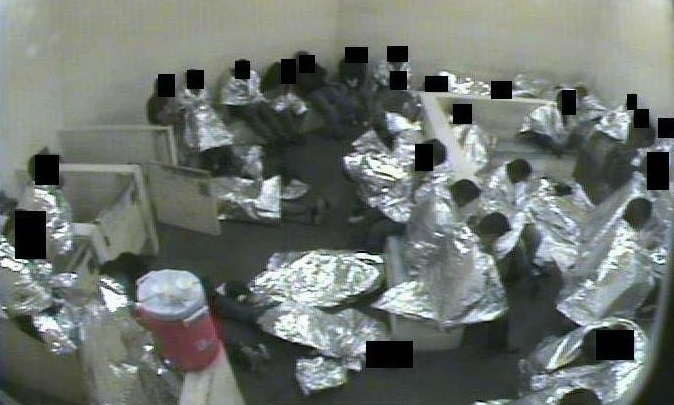 Surveillance footage turned over by the U.S. government in Doe v. Johnson, a lawsuit brought against the Tucson Sector Border Patrol, shows just how bad these facilities can be. Mothers are forced to change diapers on trash-strewn floors and overcrowded cells are filled with shivering people sleeping on cold concrete floors while wrapped in Mylar blankets. At these facilities, the only medical screening most migrants receive is a cursory “Are you OK?” While many Border Patrol agents have emergency medical training, most agents are solely trained to call local emergency responders if someone appears ill or injured. In the Doe case, a federal judge found that the Tucson Sector Border Patrol’s “cursory” medical screening forms fell below CBP’s own standards and was not even used at all times. CBP’s failure to provide adequate medical care largely stems from a refusal to admit that the agency’s mission has shifted over the past decade. When most “iceboxes” were built, the vast majority of migrants were Mexican adult males who would be returned to Mexico within hours and did not require overnight detention. However, over the past decade the number of non-Mexicans and young children arriving at the border has steadily risen. Because asylum-seekers, unaccompanied children, and non-Mexicans cannot be immediately deported, they are instead held for days—at times weeks—in CBP custody before being transferred to another facility where they will be given the opportunity to apply for relief for removal or will be deported to their home countries by Immigration and Customs Enforcement. Data disclosed as part of the Doe case shows that more than 50 percent of all migrants in the Tucson Sector were held at least overnight, with hundreds held for more than 72 hours. As more asylum-seeking families arrive at the border, these delays appear to be increasing. During the family separation crisis, one child was held in an “icebox” for 25 days, according to the Department of Homeland Security’s own internal watchdog. Nevertheless, CBP refuses to admit that it’s in the business of detention, which would require the agency to do what every jail in the country does as a matter of law: ensure that people arriving at its facilities are given a screening carried out by a qualified medical professional in a language the detainee understands or with the help of an interpreter. Without adequate medical screening, vulnerable individuals are at risk of death or serious injury. Last week’s death of a child is not even the first such preventable death this year. In May, Roxsana Hernandez died of dehydration and exhaustion in California. A transgender woman fleeing persecution in her home country, Hernandez asked for asylum at the San Ysidro port of entry in May. She spent almost a week in a CBP “icebox” with her health deteriorating, reportedly receiving no medical care despite severe diarrhea and vomiting. One day after she was transferred to ICE custody, she was rushed to the hospital. An independent autopsy later confirmed that she had died of preventable dehydration. As a nation, we must ensure that vulnerable migrants who come into our custody are properly screened by qualified medical professionals, not by overworked Border Patrol agents trying to process people as quickly as possible. As Congress debates a new budget over the next week and conducts oversight hearings in the coming year, it should take measures to ensure that preventable deaths like this become a thing of the past.